Mega Sale! Free Shipping Included! 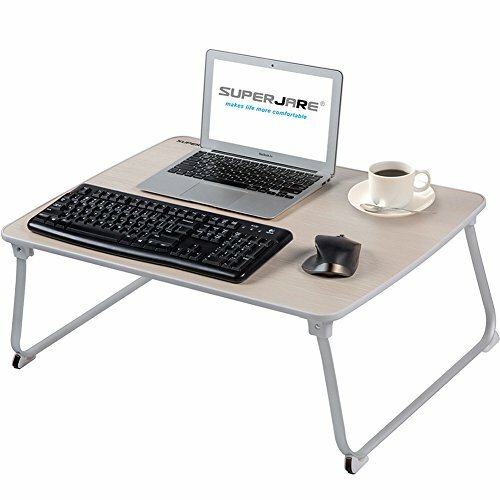 Save 29% on the SUPERJARE [Extra Large] Bed Table for Laptop, Drawing/Coloring/Sketching/Writing Table or PC Game Purposes, Portable Outdoor Camping Table - Beige by SUPERJARE at Community Frontiers. MPN: 70908. Hurry! Limited time offer. Offer valid only while supplies last. Probably you want to know (Questions and answers) : Q: What's the laptop desk made of? A: It is made of quality aluminum alloy, and MDF board. MULTIPUPOSE TABLE - As a laptop desk for bed/couch for a relaxing workspace, as a standing desk at office to release from sitting time, as a writing/drawing desk for a spacious space, as a camping table for outdoor activities, or as a breakfast serving tray in bed for lazy mornings - It will certainly satisfy you!